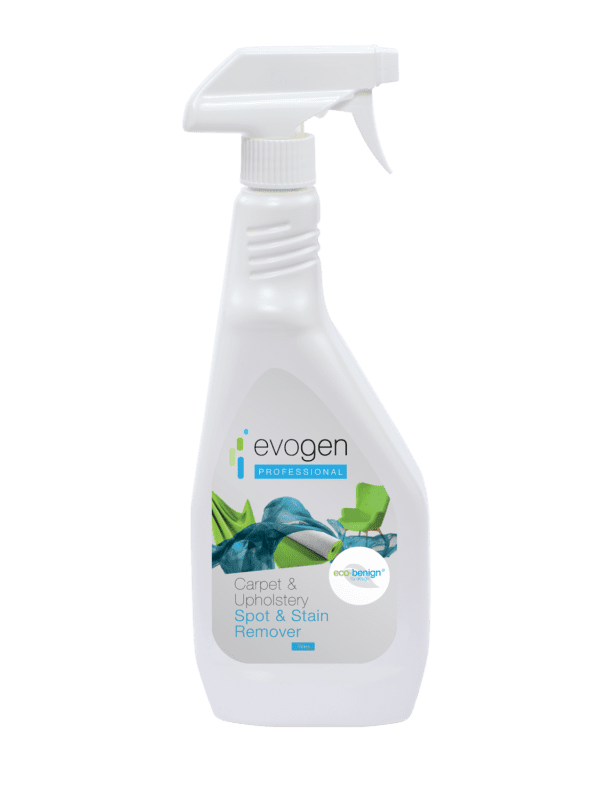 Evogen Professional Carpet Shampoo is a superior, fully-formulated wholesale carpet cleaner that delivers exceptional long-lasting cleaning and odour control for carpets and soft furnishings. Our professional carpet shampoo provides superior performance and long lasting odour control without the use of harsh chemicals. The surfactant package offers immediate cleaning of a wide variety of stains on carpets and soft furnishings and continues to work even on re-soiling occurrences. It is available as a dilutable concentrate (recommended for dilution between 1:10 and 1:40). 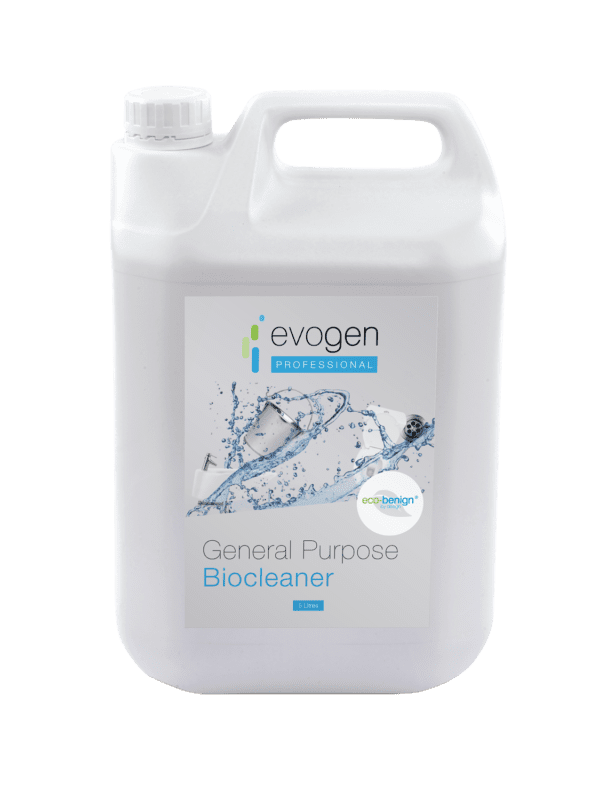 Evogen Professional Carpet & Upholstery Shampoo contains an effective blend of Bacillus organisms, selected specifically for accelerated degradation of organic material that builds up on soft furnishings overtime. The beneficial bacteria penetrate deep into the carpet fibres where persistent dirt and stains reside and break down dirt and odours at source. 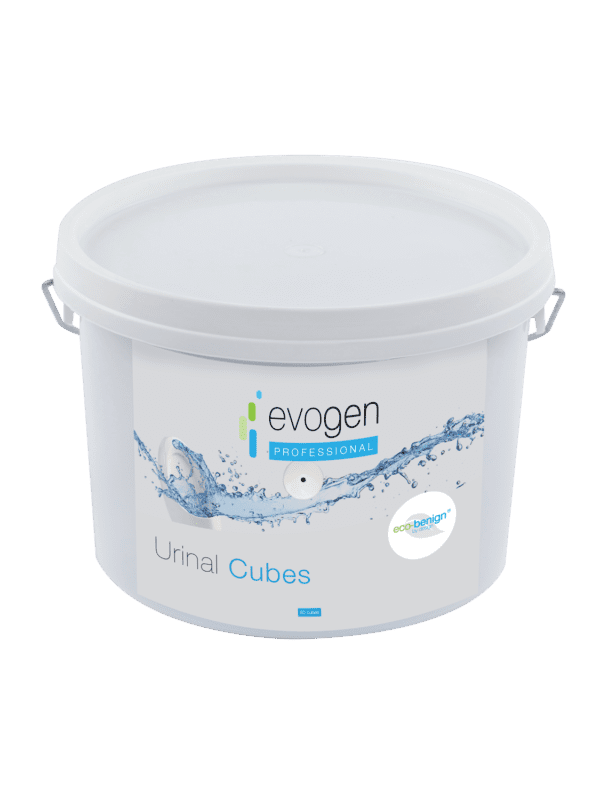 The beneficial bacteria remain on the surface continuing to work long after the product is applied, helping to prevent the reoccurrence of odours and stains. Shake well before use. Dilute with water at a rate of between 1:10 to 1:40 for use. Agitate with a soft cloth and remove residual moisture with a dry cloth. Always test on an inconspicuous area first. 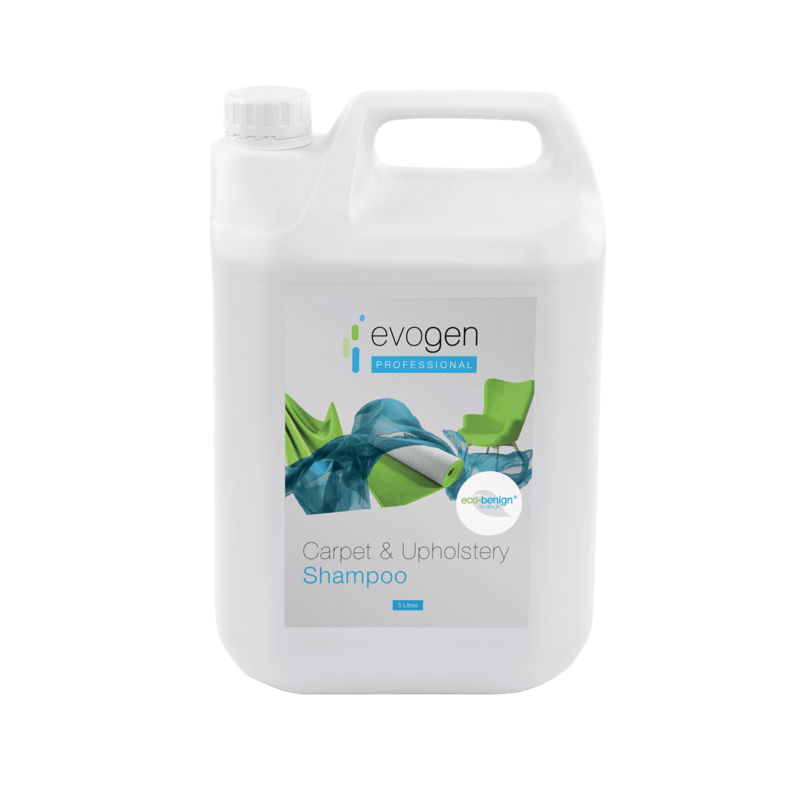 We like to ensure all our products deliver a great ROI for our customers - that's why 1 case of our professional Carpet Shampoo product (2 x 5L jerry cans) is equivalent to 133 x 750ml trigger sprays, so you can be assured of product longevity alongside its already high quality.